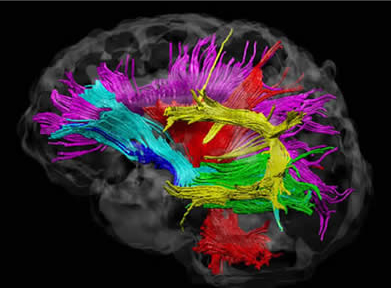 Objectives: Network sciences and complex systems theory provide exemplar mathematical formalisms to approach the analysis of multimodal and highly complicated neuroscience datasets. This investigative workshop aims to synthesize these and other state of the art applications of mathematics in order to systematize and unify multidisciplinary and multiscale work on expert human performance. The workshop will bring together researchers from multiple disciplines in order to better understand the existing mathematical challenges and explore new directions in modeling genomic to behavioral signatures of performance in humans and animal models for perceptual, motor and analytical expertise domains. Workshop goals are to identify challenges and frontiers in mechanistic modeling, prediction, signal processing and machine learning as well as novel neurotechnologies for data acquisition in order to facilitate uncovering the underlying neural mechanisms of expertise. This investigative workshop will bring together top researchers from diverse fields to share insights and methods and address long-standing and emerging conceptual problems. Playlist of online videos. Selected presentations were available for viewing via live streaming during the workshop and have been archived for online viewing. Volz LJ, Welborn BL, Goebel MS, Gazzaniga MS, Grafton ST. 2017 Egoistic Altruism: a modality dependent framework for moral decision making. PNAS. Submitted. Grafton ST (Program Director), Strick PS, Graybiel A, Daw N, Bassett DB. Neural Foundations of Expertise Based on Optimal Decision-making, Physical Control and Responses to Stress. (Multi-University Research Investigation). Army Research Office. $1,200,000/yr. Awarded.